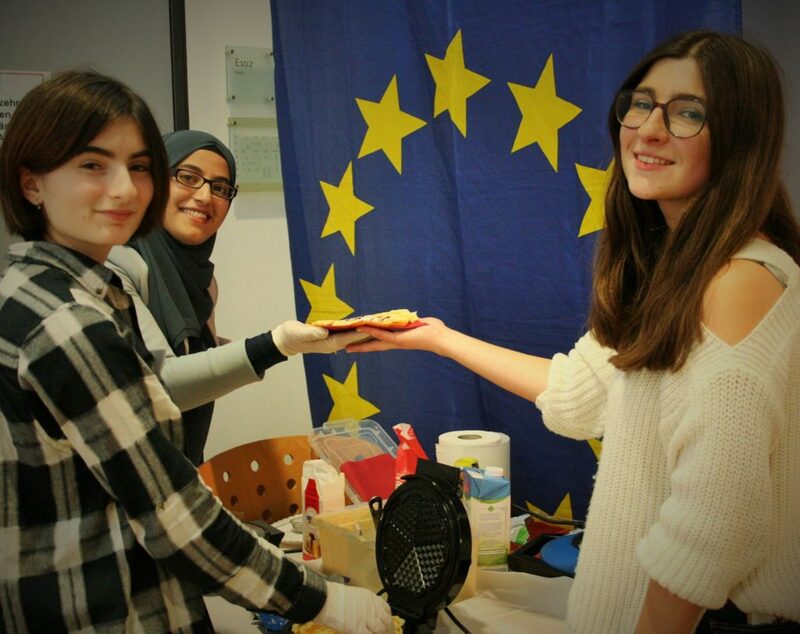 exchange students blog – absolutely intercultural! To what extent does study abroad influence students’ future life both in academic and career perspectives? Well, in this episode, which will be the last of a series on the 30th Anniversary of the ERASMUS program, we will listen to my colleague from RheinAhrCampus , who works with outgoing students, and helps them find the best partner universities for their stays abroad. She will talk about differences in students’ behaviors and appearance which she notices after they come back from their host country. We will also interview two guest lecturers from Portugal and from our partner university Indian Institution of Technology, Madras. They will talk about staying abroad and an extraordinary campus in India, and how it was first established with German aid in the 1960s. And we will hear some voices of international professionals who were once exchange students in Germany and who will tell us what skills and habits they gained during their studies at RheinAhrCampus. Finally we will listen to my co-host Anne Fox from Denmark who was in Germany and took part in our seminar Managing Cultural Diversity. This show is all about the life of students here at RheinAhrCampus in Germany! You will gain an insight into the daily life of Lucy Warren, an exchange student from Australia. She shows us what the life of an exchange student is like and what specific things you can do in Remagen: e.g. editing the international exchange students blog – supervised by Adelheid Korpp. And you will have the chance to get the the latest news of the “National Youth Orchestra of Iraq” and how our students are involved in that project. 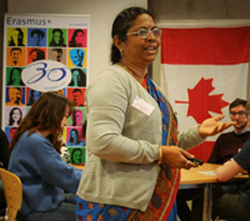 The students at RheinAhrCampus know that “intercultural experience abroad” which is documented on their CVs can be a competitive advantage when they are looking for a job. This means they have to leave their intercultural comfort zones and broaden their horizons by studying or working in a different country. It may seem a huge step but it really helps students understand intercultural differences, learn other languages and prepare themselves for their future business lives where they will have to deal with different cultures in different situations. So it seems like a “must have” to go abroad and that is what Lucy Warren, an Australian Student from the University of the Sunshine Coast did. She has spent a whole year away from home at the German partner university doing a combination of studying and internship abroad. Before she left she documented one of her typical days Let us listen to how she starts her day, what helps her clear her mind and which free time activities she indulged in during her stay. If in our audience there are students who want similar experiences, please feel free to contact us because we like to have international students on campus and we are always looking for interns, too. So go out and internationalize yourselves! In our next category Adelheid Korpp will tell us, how the exchange students at RheinAhrCampus document their experiences and their daily lives on an exchange students’ blog – so that everyone who is interested in their progress, can follow them online with text and pictures. It is a useful exercise for every exchange student to share their experiences with their friends and families on the world wide web. The students are talking about their travels in Germany and Europe, about their academic experiences at RheinAhrCampus and of course about events they experience during their stays, like for example the famous Karneval in Cologne. Lucy Warren is going to tell us more about her job in the simulated company “oRACle”. While Nadya is the CEO of that simulated company which is helping the “National Youth Orchestra of Iraq” to promote their visit to Bonn this autumn through social media, Lucy is actually the PR manager of that same company. Lucy tells us what her main tasks have been and how this practical experience may be a little different from learning the theory of PR work from a textbook.